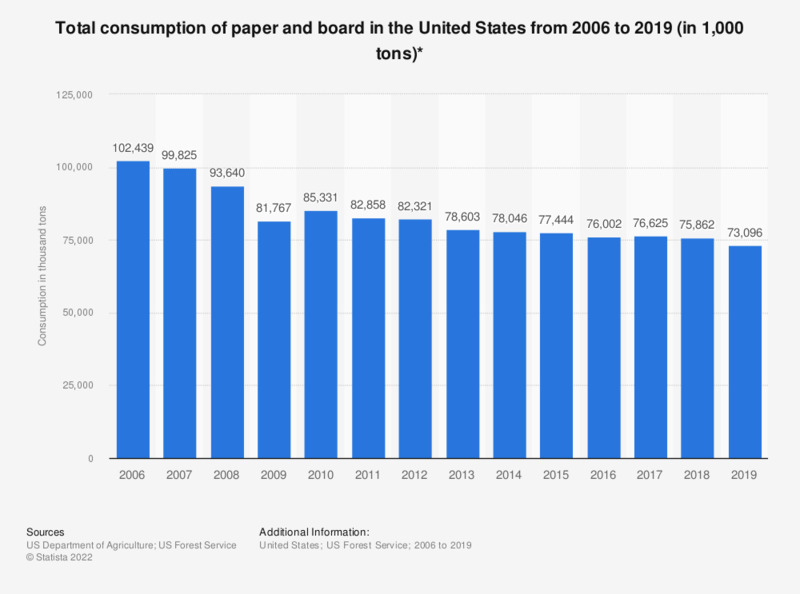 This statistic shows the total consumption of paper and board in the United States from 2006 to 2016. In 2015, the total consumption of paper and board in the United States amounted to 77.44 million tons. * Production plus imports and minus exports (excludes products); changes in inventories not taken into account. Excludes hardboard. Includes wet machine board and construction grades.